Please note that this item is made to order and can take up to 4 weeks - use our website chat feature or email us to find out an estimated date. ​Colours and Clock handles may vary. 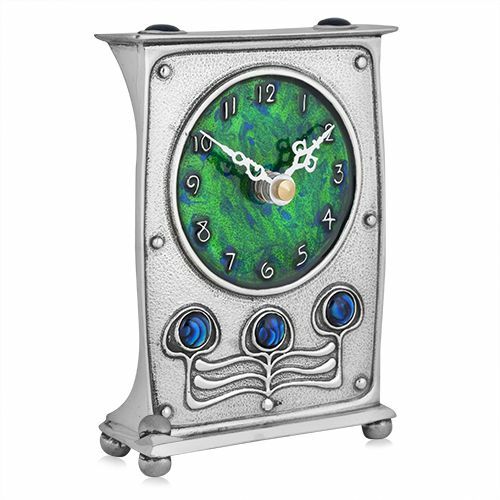 Archibald Knox Clock, Polished Pewter front. 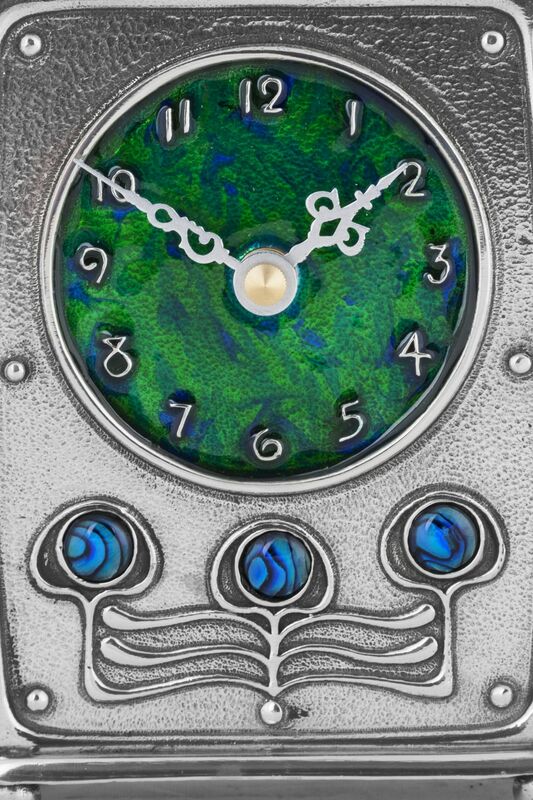 Features predominantly Green enamel with some Blue incorporated to create a lovely combination for the eye. Quartz movement which takes a AA battery (not included). 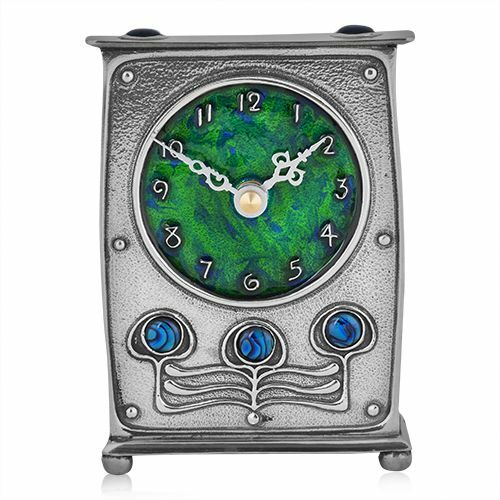 A truly wonderful clock, looks beautiful in any household, perfect for treating yourself. Archibald Knox was born in the Isle of Man of Scottish parenthood. His designs were synonymous with British Art Nouveau and he is regarded as being a prominent influence in the Arts and Crafts movement. His Celtic designs and calligraphy are world famous and iconic in the Isle of Man. Today both his art work for Liberty & Co and his watercolours are highly sought after. The A E Williams family have been making Pewter since 1779- we are the oldest family run Pewtersmiths in the world! Not only do we make pewter giftware and traditional homeware, but we also create beautiful bespoke pieces for Palaces, Cathedrals, TV, Film and Theatre companies and many more. To see all of our claim to fame on the silver screens, click here.